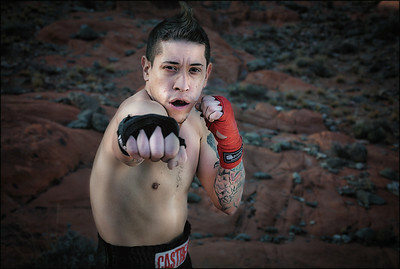 Muay Thai Fighter Anthony Castrejon. 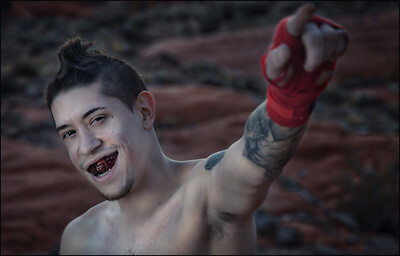 His ring name is Pretty Boy given from within the roots of Muay Thai tradition. But the name is only a cover up for a surprise. His ferocity of fighting style is recognized by many who encountered his KO kick. Anthony Castrejon of Las Vegas — friendly and charming outside the ring. Here he is posing relaxed near by Red Rock. 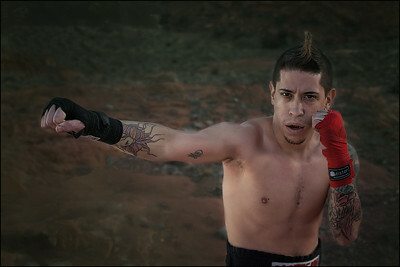 Anthony Castrejon, Muay Thai Fighter. Anthony Castrejon Kicking it at Red Rock. Anthony Castrejon showing his arsenal of skills. Muay Thai Ready Anthony Castrejon. 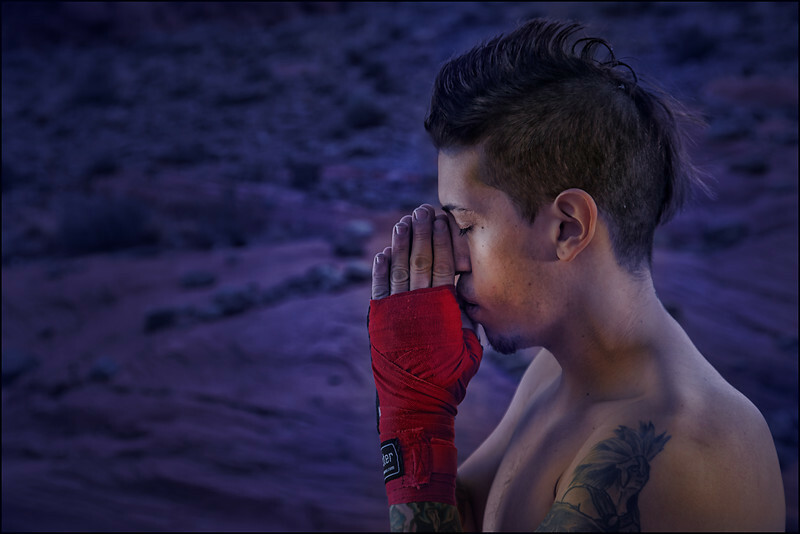 Muay Thai Fighter Anthony Castrejon of Las Vegas. 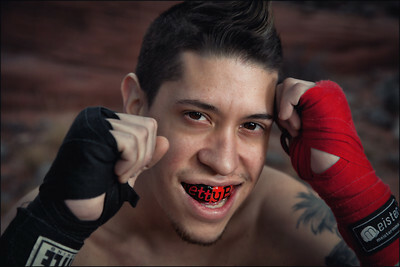 Anthony Castrejon, "Pretty Boy" of Muay Thai. 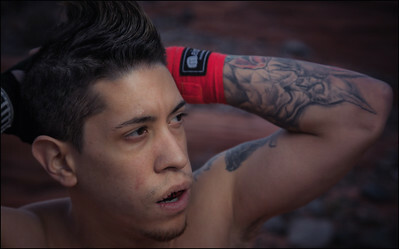 Pretty Boy of Muay Thai USA, Anthony Castrejon. Pretty Boy of Muay Thai.